The Trump administration is moving forward with at least one provision of its series of reforms aimed at the federal workforce, most of which were struck down in federal court. The provision calls on federal agencies to permanently maintain all entries to employees’ personnel records, rather than erasing or modifying them as part of a negotiated agreement. Margaret Weichert, acting director of the Office of Personnel Management, issued the memorandum Wednesday, just one day after introducing herself to staff as the new head of the agency. The White House forced out Jeff Pon from the post last week and appointed Weichert, the deputy director for management at the Office of Management and Budget, to temporarily fill the vacancy. Pon, who was forced to resign after clashing with the administration over its vision for the future of OPM, was responsible for issuing the memo that instructed agencies to “fully comply” with the federal judge’s order striking down most provisions of President Trump’s three executive orders directed at management of the federal workforce. The judge invalidated most of the meat of those orders, but allowed some of the provisions to remain intact. The Trump administration is currently challenging the ruling in the U.S. Court of Appeals. In May, Trump signed three controversial executive orders governing federal workforce practices. One order sought to set limits on unions’ negotiating powers when establishing collective bargaining agreements and another was aimed at limiting union members’ ability to engage in official time. A third order instructed agencies to standardize the performance improvement plan at 30 days in most instances and to exempt firings and other adverse personnel actions from grievance procedures. A provision of that order barred agencies from agreeing to “erase, remove, alter or withhold from another agency any information” in an employee’s personnel records in order to resolve a complaint from the employee or to settle an administrative challenge to an adverse action. Managers and employees, often through their unions, commonly negotiate over adverse actions. Proposed discipline is often mitigated or removed altogether through a mutual agreement. Biggs argued that the new policy will end up costing taxpayers more, as employees will now have more incentive to litigate adverse actions up to the Merit Systems Protection Board. He added the policy amounted to an attack on due process, as an employee’s file could note any allegation of wrongdoing even if it is proven unfounded through litigation. In his order, Trump said the policy would ensure “the integrity of the personnel file.” Managers have for years complained that negotiated settlements over punishments obscure employees’ true track record and enable problematic workers to simply move from one agency to the next. Weichert provided for some exceptions that will allow agencies to alter personnel records, but they are limited in scope. They can make changes only when it “comes to light” that when issuing an adverse personnel action the agencies included in a file information that was “not accurate or records an action taken by the agency illegally or in error.” If an agency decides to vacate or cancel a proposed action after reviewing “persuasive evidence,” it can remove it from the employee’s file. 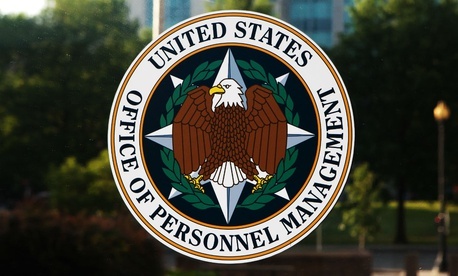 Agencies must report removal of such information to the OPM director. Tony Reardon, president of the National Treasury Employees Union, voiced appreciation for those carve outs, while cautioning against the memo's larger impact. "We are concerned that this provision will make it more difficult for unions and agencies to reach appropriate settlements when an agency takes an adverse action against an employee," Reardon said. Biggs said IFPTE's lawyers were reviewing the memo, but it was at the very least “pushing the envelope” on adhering to the federal judge’s order. This story has been updated with additional comment.